Leased and managed 800 Brazos from 2000 to 2003. 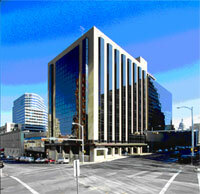 The building is a 14-story office building located in the Austin CBD. Aggressively rebranded and marketed the building to get rid of previous reputation as poorly managed building. Extensive building re-imaging and renovation, including energy management upgrades greatly enhanced the image and increased the efficiency of the building. The current team has been involved in lobby renovations and other capital projects. Increased occupancy from 60% to 85% and raised average rental rates by over 18%.